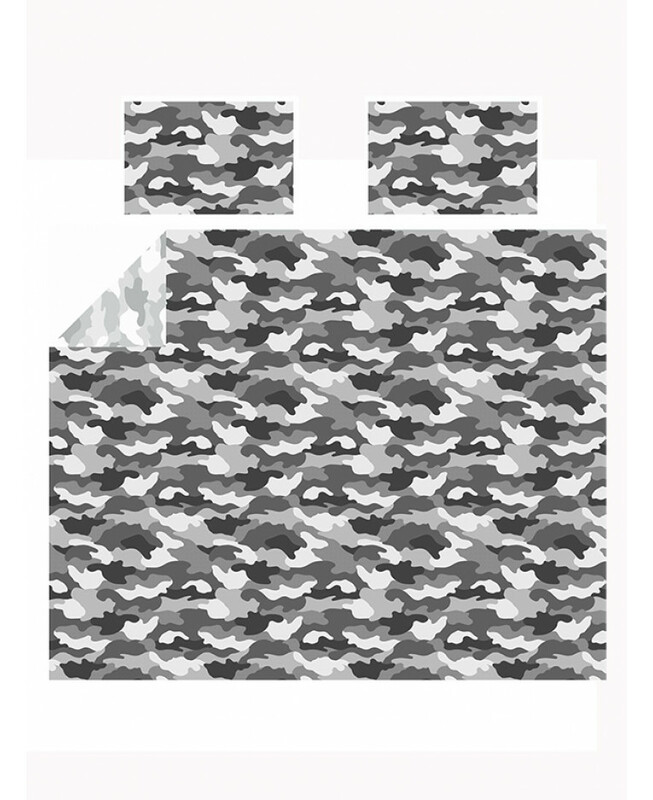 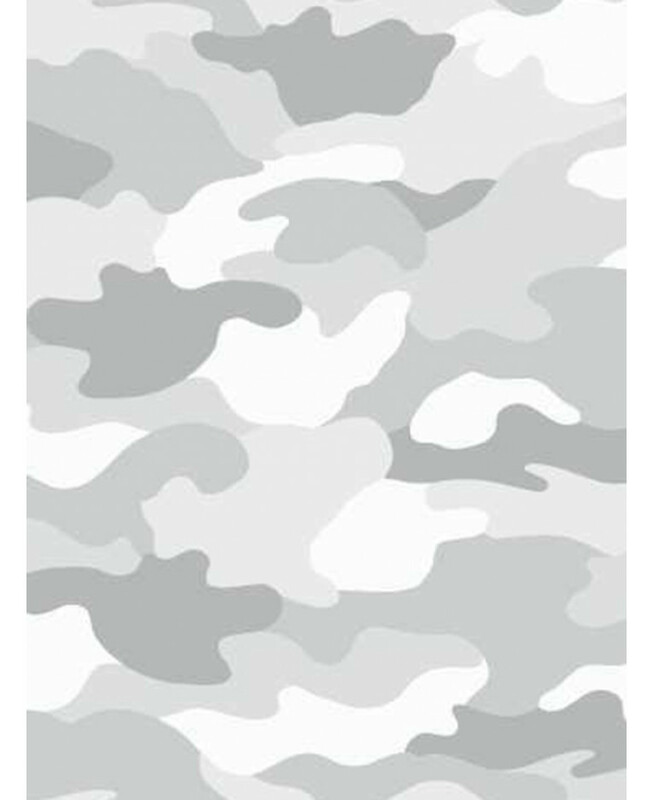 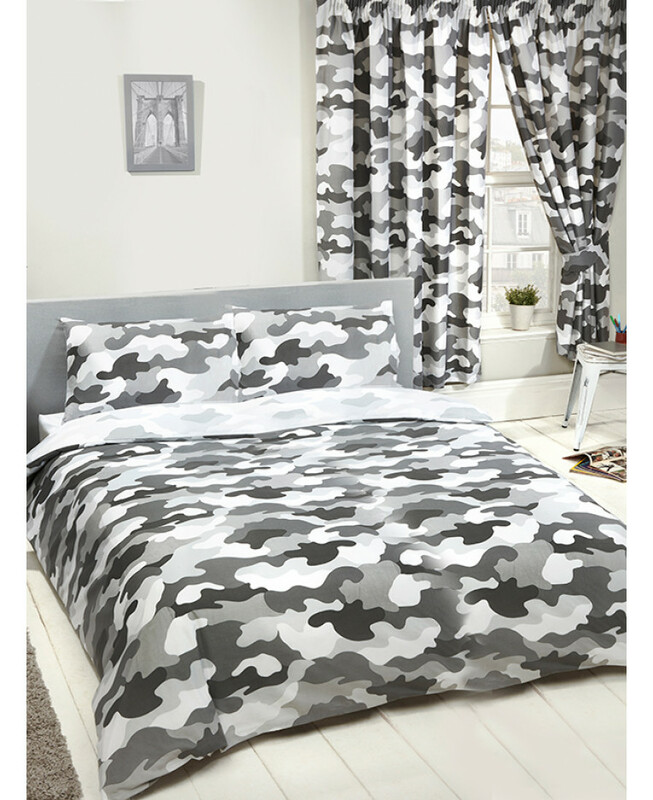 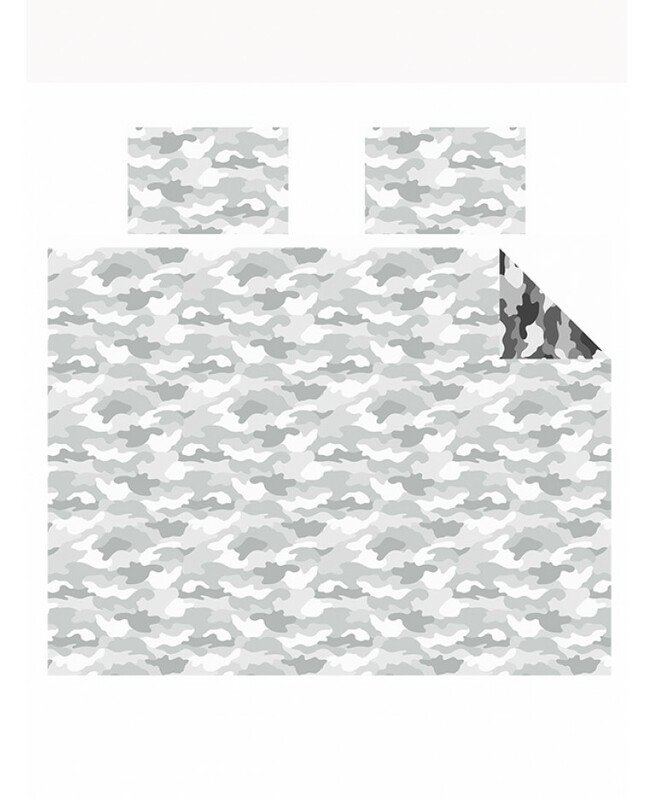 This cool Grey Camouflage Reversible Double Duvet Cover and Pillowcase Set is ideal for creating an Army theme or for a teenagers bedroom.The reversible design includes a darker and lighter grey camouflage print on each side giving you two variations to choose from. 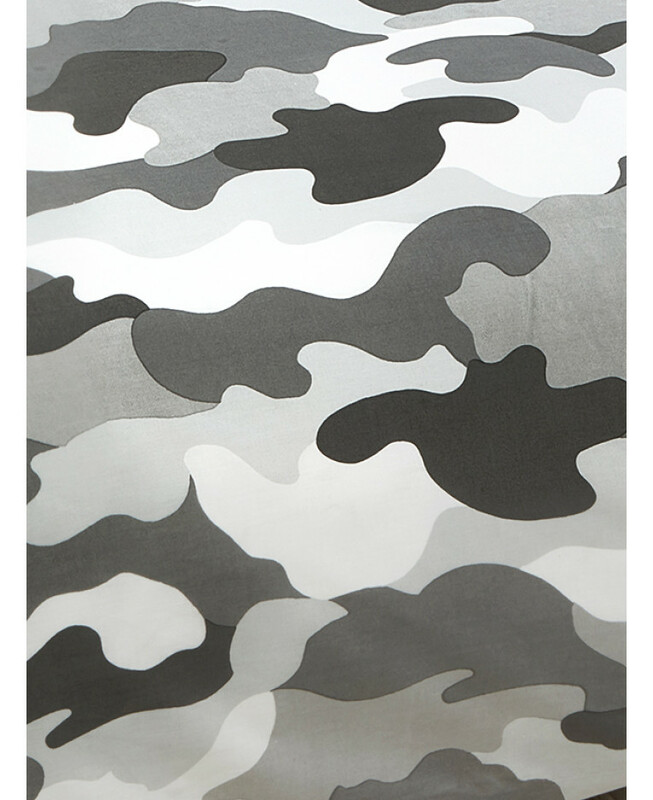 Matching curtains and wallpaper can also be purchased from our website to complete the look. 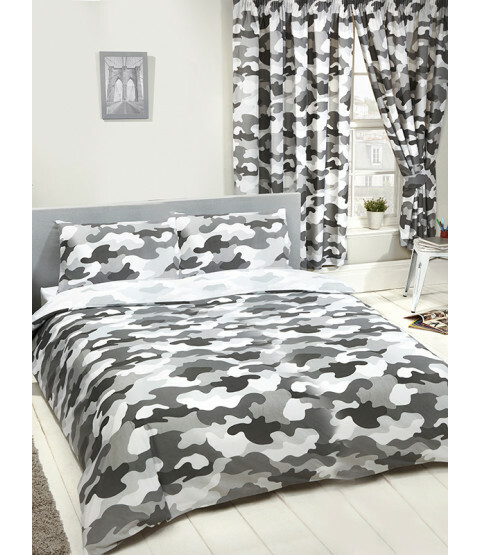 This bedding set is suitable for machine washing and tumble drying.